Gary has me hooked on West Wing. We have about shut Netflix down ordering the series,three at a time! While I am watching anything on TV that I am intersted in I can not be on the computer or I am “what is going on?” You know how that is so I knit. 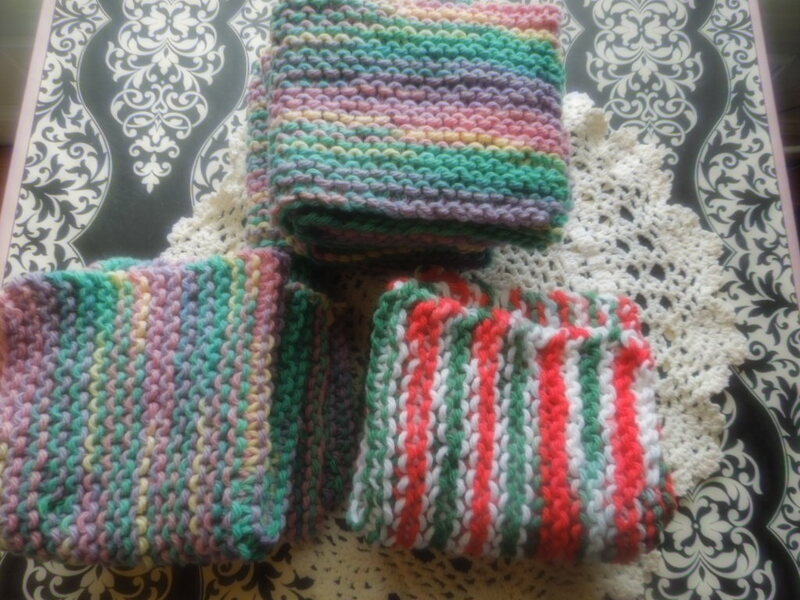 I started out with the simple dishcloths or washcloths. Nothing fancy just simple knit every row. Then I found a pattern where you knit at a diagonal. I got hooked on those. Today in one of my craft emails this happened to be one of the subjects. Knitting scarves. I guess now I will move on to those. Best of all the patterns are free! This entry was posted in 2013 January, Knitting, Tutorials. Bookmark the permalink.